Our Discover Wine series focuses on regions of the world that you can visit for wine tasting. The Emporda wine region is one of the many wine regions located in Catalonia. It’s not the biggest, or the most well-known, but the wine is solid and the wine makers are so welcoming of visitors who want to learn more about their wines. When spending time in Costa Brava, Emporda wines are the most often drank, so you’ll get a taste of the terroir when you drink wine in Catalonia. Like this post? We’d love if you would share the image on your Pinterest board! The Empordà geographical region is in Catalonia in northeastern Spain, which also includes Costa Brava, a very popular tourist area. Within this region is a DO (Denomination of Origin), called the Empordà DO, which stretches from the town of Figueres in Catalonia, all the way to the French border in the north and has a long history of wine. Vines have been in this area since the 5th century BC. Though it isn’t a large wine growing region, with only around 2,000 hectacres (in comparison to Spain’s La Rioja DO, which has 61,000 hectacres), Empordà is producing incredible wines at a really great value. 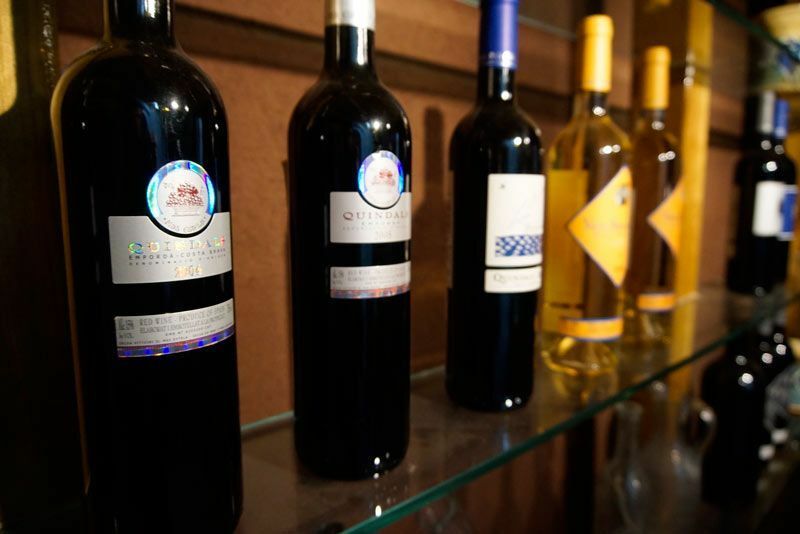 You’ll find grapes like White Grenache, Macabeu, Syrah and Tempranillo, among other local grapes. The winemakers are young, friendly and excited about building the wine industry based on the traditions passed along through the ages. If you’re coming from an International destination, the best way to get to Empordà is by flying into Barcelona and renting a car. You can take a day trip to Empordà from Barcelona, but then you won’t get to really experience the area. If you’re coming from within the EU, you can fly directly into the smaller and closer Girona airport, or take a train to Girona (Costa Brava area). A car is necessary to get around to the wineries. If you prefer not to drive, tours can be set up with various companies to take you around to the wineries. If you do drive, you might be able to fit in 2 or possibly 3 wineries per day. There is typically a lot of driving to get from one to the next, and the tour and visit often will last for 1.5-2 hours each. The wineries of Empordà are fairly spread out. There are a large swath of wineries in the northern part of the region, that stretches inland from Cadaques on the coast, and another to the south, near Palamos. The Empordà DO website lists all of the wineries on a map (with their details) so you can see where they all are and make a driving plan that suits your schedule and theirs. You’ll have to call or email a day or two ahead to make an appointment. As these are not large operations, if you show up unannounced, you will be disappointed. English is not spoken as much around here, so also make sure there is an English speaker available. Wine tourism is alive and active in Empordà. You can visit and tour wineries, book a room at a vineyard, enjoy picnic lunches among the vines, take wine classes, attend a concert at a vineyard, or set up a wine pairing lunch. All you have to do is ask. If a particular winery you ask doesn’t offer those activities, they will point you to who does. Particularly in the summertime, there are activities and events happening at the wineries all the time. The Costa Brava Tourism Board is working in conjunction with the area wineries to offer these activities as well, so you can check out their website for wine route ideas and for help setting up any kind of activity you’d like to do to. 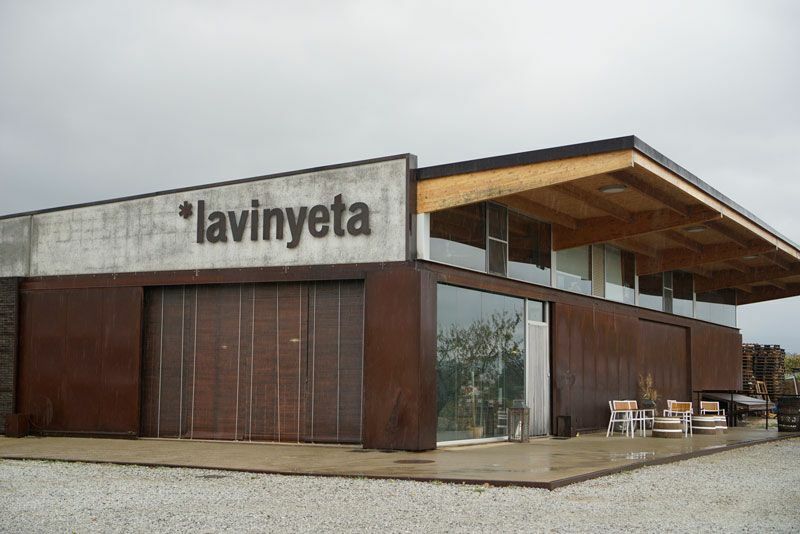 One of our favorite wineries in Empordà is La Vinyeta. It’s so much more than a winery. They have truly embraced every aspect of the land where their vineyard is planted. They make wine, of course, but they also make honey, vinegar, eggs and various other products that flow naturally from the wine business. We loved all their wines, but the Mig Mig was a particular favorite, along with the easy drinker, Llavors, which paired perfectly with sausage and cheese from the area. Another favorite winery to visit is Mas Estela. At the winery, you can walk around the vineyards, see the cellar and the aging of the area’s sweet wine, and taste a few of their organic wines. Their Vinya Selva de Mar 2007 and 2008 are fantastic, and such incredible value! If visiting Mas Estela, you may also wish to stop by Celler Martin Faixo. It’s located on Cadaqués Pass, in Cap de Creus Natural Park, surrounded by the Sea, and very close to Cadaques. The best part about this region is that many of the wineries also have apartments to rent. So if you want to stay right among the vines, you can. There are two apartments for rent at La Vinyeta and one at Mas Estela. Another option is to stay in Cadaques – a very popular summer destination – which is not far from the wineries in the north. 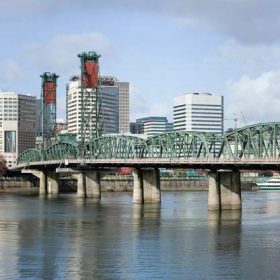 Check out Carpe Diem Apartments. They have fantastic apartments to rent in Cadaques (some with really incredible views). If you want to spread out a little and don’t mind driving quite a bit, Girona, the largest of the cities in the region, is a great home base. In Girona, you can find hotels, restaurants and other tourist activities. As previously mentioned, many of the wineries can set up lunch or dinner options for you, if you ask. They can prepare lunch in the vineyard, wine pairing tastings and dinners. If you’re out driving around to the wineries, there aren’t many options along the route to eat, but there are fantastic options in the surrounding area. In the southern area, Palamos is where to go for food. You can try upscale dining at Restaurant Dvisi or El Galeo Tapas Bar. In the northern area, Cadaques has many dining options, from the fine dining spot, Compartir, to the wine-centric Bistrovino. The town of Peralada offers a wine bar and restaurant: Grill de Celler, along with a few dining options at Casino Peralada Castle. In the mountains, of San Pere de Rodes, you’ll find a great restaurant located at the Sant Pere de Rodes Monastery (which is also worth a visit!). Planning a trip to Spain can be overwhelming because there are so many great choices, but the Costa Brava area, and the Empordà region are the perfect choice for wine and food lovers because there is so much fantastic food and wine in this part of Catalonia. Everyone you’ll meet is so friendly and they’re all excited to show you their product and explain why Empordà is one of the best in the world. It definitely should be getting more publicity. They are doing great things here! Tell us about your favorite wine regions of Spain. Have you visited Empordà or other wine regions in Catalonia? A big thank you to the Costa Brava Tourism Board for introducing us to the Emporda region. See all the coverage of our trip to Costa Brava in Catalunya. This entry was posted in Discover Wine and tagged Catalunya, Spain. I’ve been dying to see Costa Brava ever since I saw everyone’s posts and photos from TBEX and now after reading this I really have to go! I love Spanish wine, and I just can’t get enough good wine over here in Asia. I remember seeing all of those posts too and wanderlusting over them. The wine is so fantastic. And it’s such a good value! Looks like a great place to wine enthusiasts. Great tip on the time spent traveling and in each winery. 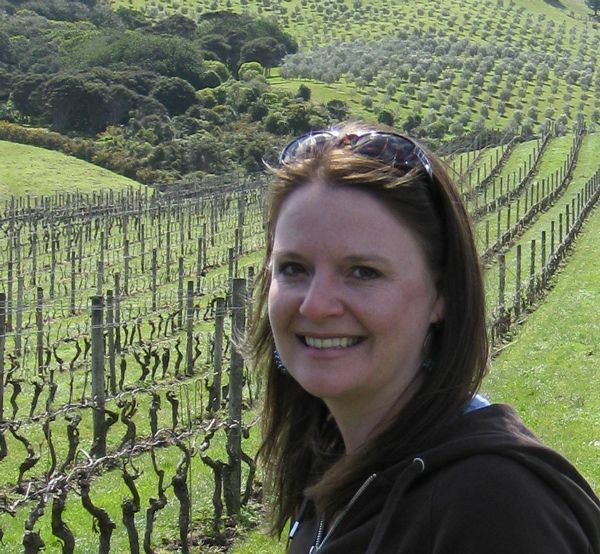 It’s also good to know that meals can be arranged while visiting a winery- great post! Thanks Sara. I think part of the fun about experiencing wineries is the activities and lunches they can sometimes put together for travelers. You just have to ask, and most of us don’t realize it’s possible. We weren’t aware of all the smaller wine regions in Northern and coastal Spain either. This one was a gem of a find. We love their wine now. I love reading your posts as I haven’t been to any decent wineries since moving back to Asia! Looks like a great place for wine lovers. Thanks Anna! The wine in Spain is definitely reason alone to visit. They take their wine very seriously. Wineries have apartments to rent?? That sounds like reason enough to go to Catalonia, I bet it would beautiful to stay there! Yeah, they’re beautiful apartments too. I would have definitely stayed there if we’d known about them before we went. .Looks like a great place for wine connoisseurs The apartments looks great! I am sure it was a heady experience to cherish for a long time.